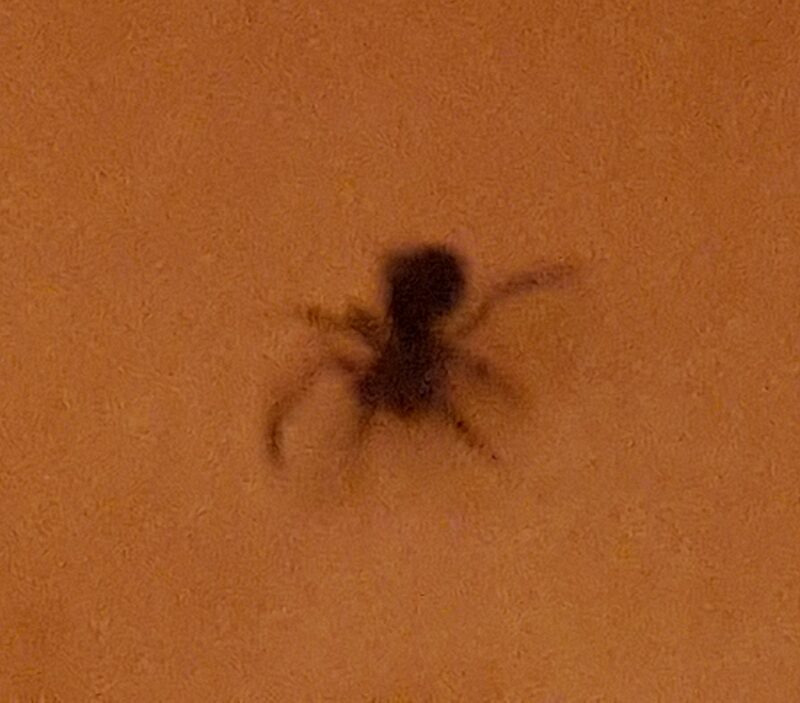 Hi, it is a spider, likely one of the dwarf spiders, they rarely get over 4MM in size. This is a big family, and little to work with here, I can only suggest. >They sell cheap clip-on macro lenses for cell phones for getting the tiny things up close. still not the greatest but a big improvement if you can get the focus.